Happy Mother’s Day to all our friends and supporters, especially those of you who are moms. Here in Tanzania Mother’s Day is not as big a day as it is in the U.S., but people here do honor their mothers in many ways. Often a mom is referred to using the name of her first-born child. For example, I might be called “Mama Christa,” since our daughter’s name is Christa. Mothers in Tanzania and throughout Africa are often expected to do the main tasks of childrearing—not only cooking and cleaning, but also providing much of the food for the household and paying for school fees. This is especially true in the case of widows or those who may have been abandoned by their husbands. 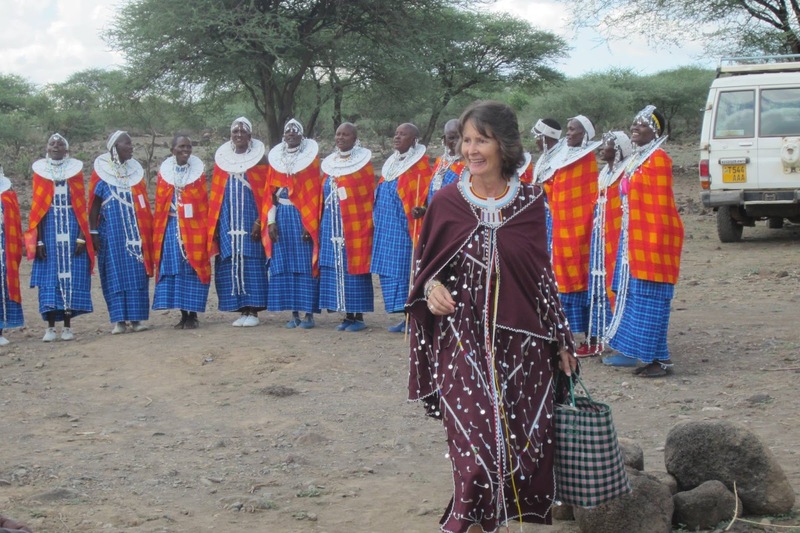 When our colleague ELCA missionary Bethany Friberg arrived in Tanzania over twenty years ago, she noticed that many women struggled to put food on the table and often the family didn’t have money to educate their children. 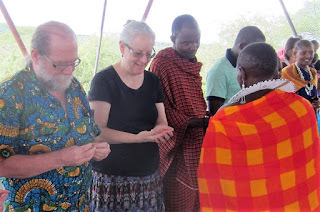 Bethany and her husband, Dr. Mark Friberg, live out in Maasailand near the border with Kenya, where Mark serves in Lutheran health clinics ministering to the Maasai. 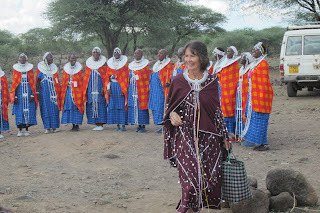 Bethany admired the beautiful traditional beadwork that the Maasai women make. These items are often sold to tourists, so she had the idea of forming a women’s cooperative to make and sell beadwork. Twenty years later, some thirty women are working together in the Naapok Bead Project. Between them all, they have sent over fifty of their children to school, some of whom have even graduated from university, a goal that in the past only seemed a distant dream. They earned money to buy goats, seeds for gardens, and other agricultural projects that have enriched their families’ diets. Recently, Joe and I attended the dedication of Naapok’s new center, where they now have a cement building where they can meet to work together and can safely store their bead-making materials. They also built an outdoor shelter, suitable for holding meetings or church services, and even constructed restrooms with flush toilets—a real luxury in the Tanzania bush! The women served us a delicious lunch of beef, goat, vegetables, and rice—typical for this part of the world. We are happy that as the ELCA East Africa Regional Representatives we can encourage Bethany and Mark in their work. Top Photo: Bethany Friberg and members of the Naapok beading group. Our ELCA Land Cruiser is in the background. Second Photo: Joe and Deborah receive beaded key chains as gifts from a member of the Naapok women’s cooperative. Joe and Deborah are missionaries living in Arusha, Tanzania, where they are the East Africa Regional Representatives for the Evangelical Lutheran Church in America and work in Tanzania, Kenya, South Sudan, and Uganda. Their daughter, Christa, will be a sophomore at the University of Southern California this fall.